The first step in the transaction processing cycle is Data Entry. Data Entry: - The process of entering data into a computerized database or spreadsheet. Data entry can be performed by an individual typing at a keyboard or by a machine entering data electronically. A Flowchartis a design tool that graphically shows the logic in a solution algorithm. Flowchart: - A flowchart is a diagram that describes a process or operation. It includes multiple steps, which the process "flows" through from start to finish. Common uses for flowcharts include developing business plans, defining troubleshooting steps, and designing mathematical algorithms. Some flowcharts may only include a few steps, while others can be highly complex, containing hundreds of possible outcomes. Which of the following is not computer programming language? C: - C Programming is best known programming language. C Programming is near to machine as well as human so it is called as Middle Level Programming Language. C Programming can be used to do verity of tasks such as networking related, OS related. C++: - C++ is a high-level programming language developed by Bjarne Stroustrup at Bell Labs. C++ adds object-oriented features to its predecessor, C. C++ is one of the most popular programming language for graphical applications, such as those that run in Windows and Macintosh environments. JAVA: - Java is a general purpose, high-level programming language developed by Sun Microsystems. COBOL: - Acronym for common business oriented language. Developed in the late 1950s and early 1960s, COBOL is the second-oldest high-level programming language (FORTRAN is the oldest). It is particularly popular for business applications that run on large computers. In oracle, which statement is true about segments? Each table has its own segment. An index segment is created every time a table is created. A segment is deleted whenever a table is truncated. 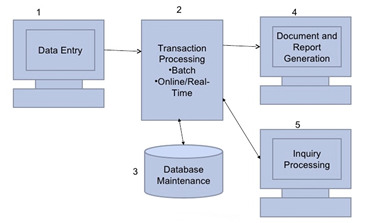 In oracle a segment is created every time an extent is created, extended or altered is true about segments. Segments: The level of logical database storage above an extent is called a segment. A segment is a set of extents that have been allocated for a specific type of data structure, and that all are stored in the same table space. Oracle allocates space for segments in extents. Therefore, when the existing extents of a segment are full, Oracle allocates another extent for that segment. Because extents are allocated as needed, the extents of a segment may or may not be contiguous on disk. The segments also can span files, but the individual extents cannot. C, BASIC, COBOL, and Java are examples of …………… languages. The first high-level languages were introduced in the 1950's. Today, there are many high-level languages in use, including BASIC, C, C++, Cobol, FORTRAN, Java, Pascal, Perl, PHP, Python, Ruby, and Visual Basic. Sometimes abbreviated as HLL, a high-level language is a computer programming language that isn't limited by the computer, designed for a specific job, and is easier to understand. It is more like human language and less like machine language. However, for a computer to understand and run a program created with a high-level language, it must be compiled into machine language.